Today, Kevin, Alfred, Craig, and and I flew off to Chicago to celebrate reaching the sixty-year-old plateau. Lots more posts to come ... you cannot take a bad picture in this city. For now, here are some pictures of Cloud Gate, known better as the "Bean" in Millennium Park, about ten minutes from where we are staying. 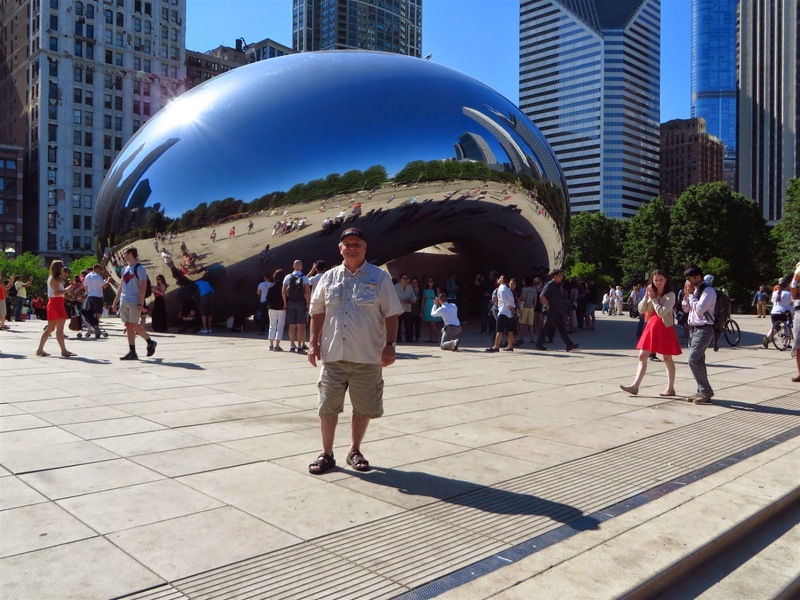 Cloud Gate is British artist Anish Kapoor's first public outdoor work installed in the United States. The 110-ton elliptical sculpture is forged of a seamless series of highly polished stainless steel plates, which reflect Chicago’s famous skyline and the clouds above. A 12-foot-high arch provides a "gate" to the concave chamber beneath the sculpture, inviting visitors to touch its mirror-like surface and see their image reflected back from a variety of perspectives. Inspired by liquid mercury, the sculpture is among the largest of its kind in the world, measuring 66-feet long by 33-feet high. The shape can play fun with the way you look. 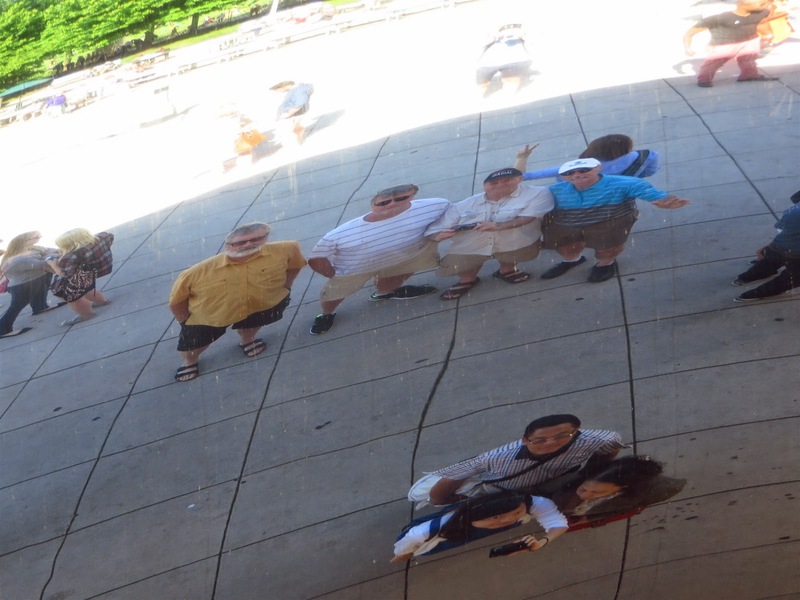 The "Bean" was fun as was the rest of our day. Look at the camera that are using for this selfie! Friends we have met in our first few hours in Chicago! We have only been here a half a day and already it is my second favorite city in the world to visit!